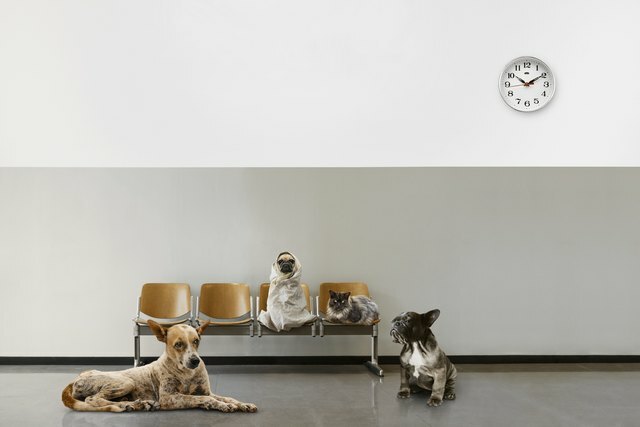 Dogs are not exactly known for their punctuality. In fact, I would bet good money that, if left to his own devices, your dog would be late for literally everything except dinner. And even then, he might not show up on time every single day, depending on the squirrel-and-other-dog situation happening where he was just before dinner time. It’s okay. My dog is the same way. That’s just a dog thing. But do dogs understand time at all? That raises bigger questions, like do dogs understand how long they’ve been left home alone? Do they have any idea how long they’ve lived with us? Do they know how old they are? Here’s everything we currently know about dogs and their understanding of the eternal march of time. This is a really broad question, obviously, but it’s important to set a baseline. 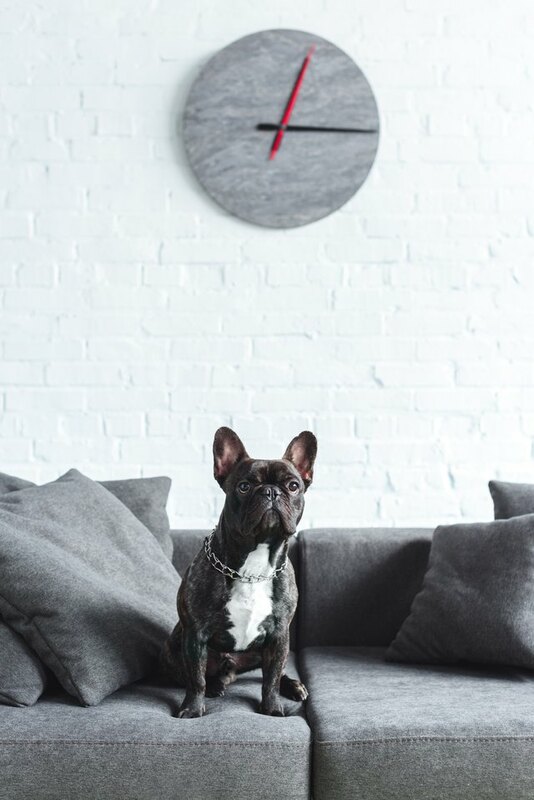 So, if you mean, “Can dogs read clocks and keep appointments and feel remorse when they are late for said appointments?” Then no, obviously dogs don’t understand time. But, if you mean, “Can dogs perceive a passage of time and react differently based on that perception?” Then the answer is, yes, it seems like it. Dogs clearly don’t have an intellectual understanding of time. They aren’t running around with pocket watches and time-based social anxieties. But there is a lot of evidence that dogs understand time on a more primal level—that they have a gut (and nose—more on that later) instinct that tells them what time of day it is and that they do know how long you’ve left them alone. Can dogs actually distinguish between different times? There’s a popular bit of unproven info that’s passed around about dogs, which suggests that they don’t have any concept of time whatsoever. To a dog, the tidbit says, time is meaningless. If you leave a dog alone for 20 seconds or 20 minutes or 20 days, it’s all the same to him. This is the kind of “fact” that can make you feel incredibly guilty for not being a conjoined twin with your dog, but it’s also not totally true. A 2010 study published in Applied Animal Behaviour Science actually tested this theory by documenting the behavior of dogs whose owners left for different periods of time. The owners in the study left their dogs for either 30 minutes or two hours and the dogs reacted very differently depending on how long they were left. The dogs who were left for two hours greeted their humans more energetically and engaged in more “OMG YOU’RE HOME AND I MISSED YOU SOOOOOOO MUCH” behaviors (like tail-wagging, face-kissing, lip-licking, etc.) when they saw their human again than the dogs who had only been left for a relatively short 30-minute period. Dogs also have memories, but they don’t function in the same way as humans’, which creates the appearance that dogs don’t comprehend time. Humans mainly use episodic memory—that is, we remember specific events and when they happened. This is one of the things that makes the human brain unique and that gives us the ability to think forward to an imagined future, in addition to thinking back on past events. How do dogs keep track of time? In more basic terms, circadian rhythms are our own internal clocks. They’re the reason that people who maintain a regular sleep schedule can wake up without an alarm clock and the reason you start to get sleepy when it’s close to bed time, even if you don’t know it’s close to bed time. Humans aren’t the only beings with circadian rhythms. As the NIH definition points out, animals, plants, and even “tiny microbes” have them. 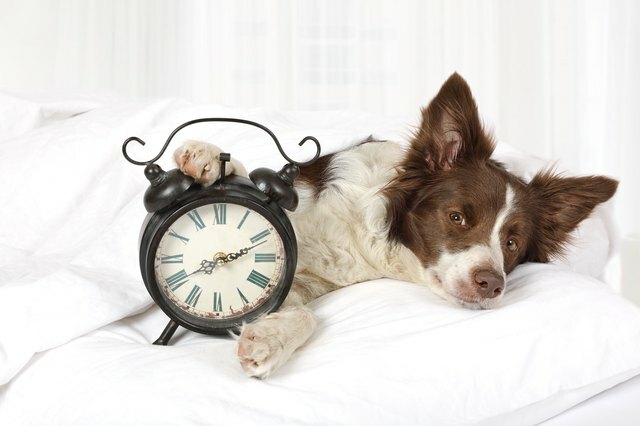 Research has shown that dogs have circadian rhythms, too. 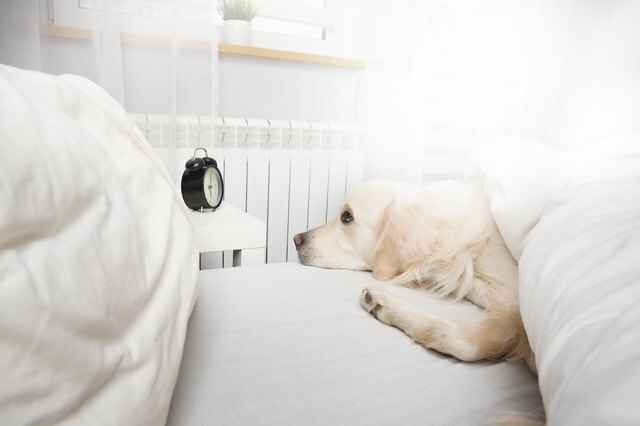 Specifically, dogs have circadian oscillators (humans have these too), which are fluctuations in things like hormone levels, neural activity, and body temperature that occur throughout the day and tip dogs off about what time it is. So, when it’s time to eat, for example, your dog’s body just naturally releases the hormones associated with hunger. If you always feed your dog at the same time every day, then, effectively, your dog knows what time it is on some level. Other cues play into circadian rhythms, like light and temperature. Your dog might not know what 9 p.m. is, but he definitely knows that when it’s a specific amount of dark and cold, you’re probably going to take him on his last walk of the night. Another way dogs might be telling time in their own special way is with their noses. This isn’t really surprising for anyone who knows much about dog-related science because, well, dogs use their incredible sense of smell to do just about everything. So, how can dogs smell something like time, which doesn’t seem to have a scent? Alexandra Horowitz, author of [Inside of a Dog_](https://www.amazon.com/Inside-Dog-What-Dogs-Smell/dp/1416583432) and _Being a Dog, suggests that each time of day might have its own distinct scent profile, which dogs can detect, but we humans with our puny human noses can’t. 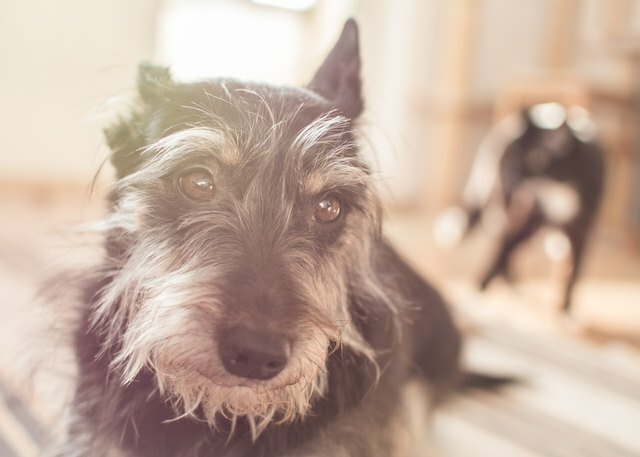 In other words, if you come home at the same time every day, your dog might know when it’s almost time for you to come home based on the strength of your scent left in the house, because the you smell fades at roughly the same rate every day.